The Tickstory MT4 Export allows you to generate historical data files for Metaquotes Metatrader 4 platform so you can generate 99% accurate back-tests of your Expert Adviors. 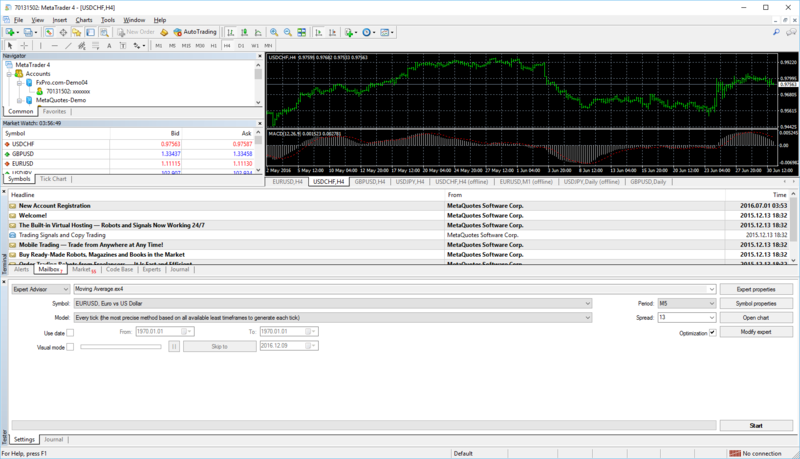 By default, Metatrader 4 allows you to (at best) test your Expert Advisors with 1-minute data. Tickstory, however allows you to bypass this limitation by exporting quality tick data that you can use for your back-tests.